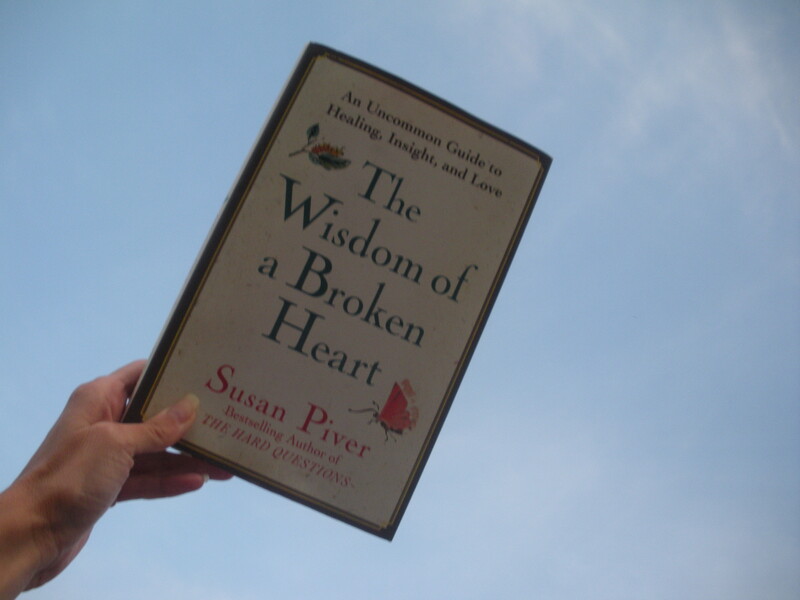 The book she was referring to was Susan Piver’s The Wisdom of a Broken Heart, An Uncommon Guide to Healing, Insight, and Love. My friend tore through the book over the weekend and then urged me to read it as well. So, I bought myself a copy. And I’m so glad I did. Susan Piver offers a unique approach to dealing with a broken heart: she suggests that one choose to view it as a gift instead of a curse. A Buddhist, she prescribes a seven-day program of healing to be obtained through meditation, writing and reflection. But don’t worry, she’s not all high-and-mighty about her suggestions. Throughout the book, she humbly tells the story of her own broken heart and subsequent sobbing insanity. She admits to her unflattering actions and emotions as a result of her heartbreak. It’s clear that Susan’s unique perspective was arrived at by way of painful personal experience. I have to agree with Susan. In my own experience, I discovered a wondrous liberation when I surrendered to the grief brought on by my situation. In sitting with my self, I realized that my love, kindness and compassion towards others had multiplied exponentially as a result of my pain. This new vision has allowed me to see the humanity in everyone— even those who are supposed to be my “enemies”. I am continuously overwhelmed with a feeling of gratitude for the beautiful agony which I endure(d) (am i over it yet?). My broken-hearted friends, I hope you find the courage to gratefully embrace the “roar” within you. And then, spend some time learning from The Wisdom of a Broken Heart. Posted in divorce, media and tagged books, breakup, broken heart, dealing with a broken heart, divorce, healing, moving on, self help book, Susan Piver, The Wisdom of a Broken Heart. “Strength only comes from an authentic place of vulnerability in which your heart may be broken over and over again.” – so powerfully true!